My role at KETIV gives me the chance to work with amazing people, both customers and our own consultants. Together, they are changing the world with the products they create. Doing what we love is reward enough, but when the world recognizes the impact we make, it is important that we celebrate together. I am proud to share Scott Oshita, a long-time friend, colleague, and KETIV technical consultant earned a Scientific and Technical Achievement Award from the Motion Picture Academy of Arts and Sciences for 2017. The story behind the award is an excellent illustration of the power of Autodesk Inventor and the value of design optimization and compromise. 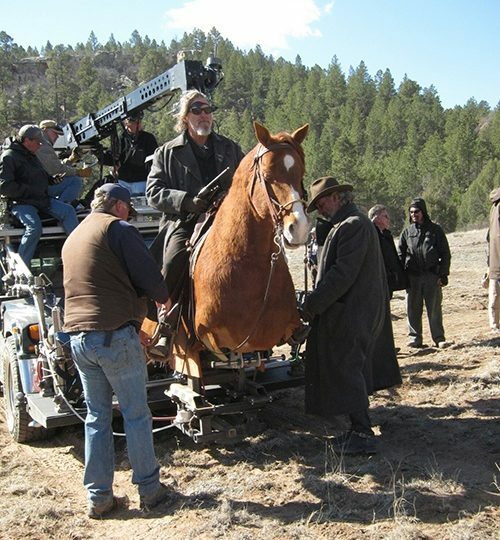 Scott solved a long-standing problem in Hollywood: horses on set are extremely dangerous – for the horse as well as the cast and crew – and the faster it runs, the more dangerous it becomes for all involved. Scott’s solution? Take the horse out of the equation. Autodesk Inventor served as an essential piece to the success of the project. Fortunately, Scott has worked with Autodesk software since its debut in 1999 and given the tight timeline of the project with minimal room for error, the design had to work on the first try; and Autodesk Inventor helped make that possible. The result? The Running Horse, an animatronic that closely mimics the natural motion of a live galloping horse. "Instead of 100 mediocre movements, I wanted our horse to perform a few strategically planned movements that’d give the camera the most bang for the buck." Although Scott no longer works in special effects, he still recalls his experience with Running Horse in his career today as a mechanical designer. Looking to walk in Scott's footsteps? Scott, like all designers, focuses on the now and what is on the horizon. “I don’t spend much time thinking about past projects,” Oshita says. “So being recognized by the Academy a decade after I did the work came as a shock. But it was certainly an honor. Mostly, it was amazing just to be in the same room with so many industry legends.” Here’s to Scott Oshita, and to all the designers doing the design work that makes life better, safer, and more satisfying. You may not all get Oscars® for your work, but we at KETIV know what a difference you make, and we’re here to support you whenever you need us.